Will find the source and accredit ASAP but found it on my desktop and just love the simplicity of this. 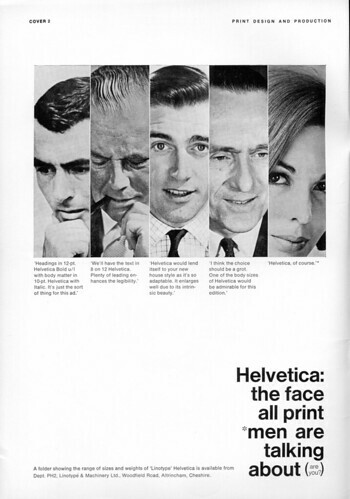 Helvetica Trade Advertising 02, originally uploaded by ekusupo. From 1968 – Tremendous – absolutely love this. Imagine if there were such a general and public interest in fonts and typography in current times, we’d be living in a better world!